Hondash: How to check if Hondash will work with my ECU? Follow these simple steps to determine whether the Hondash will work with your ECU. All Honda models produced in 1992-2001 (gasoline engines - OBD1 '92-'95, OBD2A '96-'99, OBD2B '99-'01) that use the 3 pin or the 5 pin DLC diagnostic connector are compatible with Hondash. 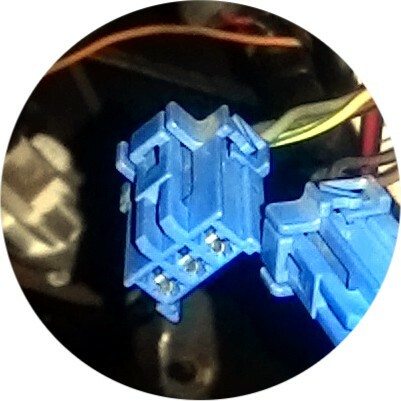 If you can locate either the 3 pin or the 5 pin diagnostic connector in your car (locations described here), then your ECU is compatible. 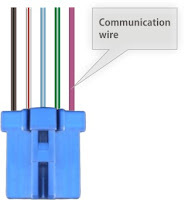 the 5 pin connector either 3 or 5 wires, in this case the communication wire (purple wire in the picture, color may vary among car models) must be present in the connector. The "5 to 3 pin adapter" (sold separately) is required in order to connect the Hondash interface. 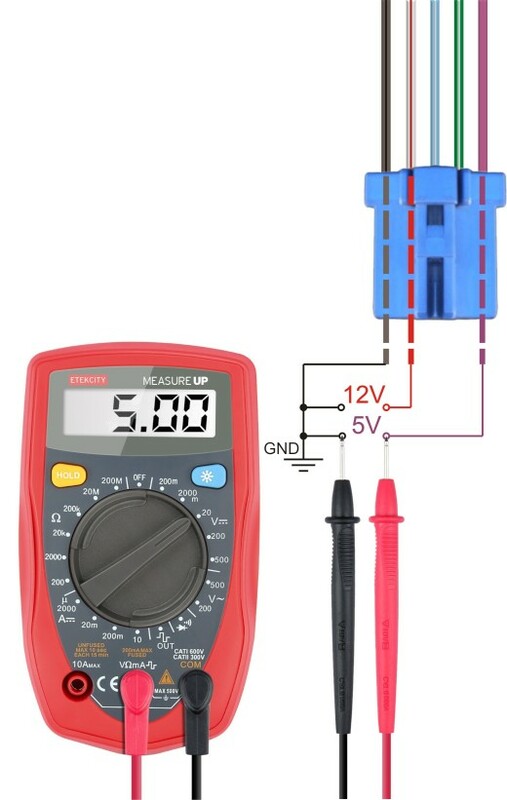 You may also check the voltage levels on the connector pins, to determine its working status. 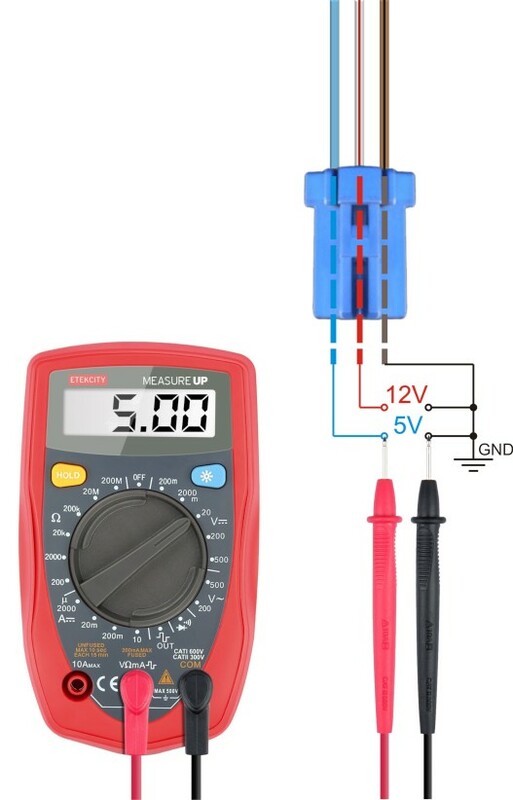 There should be a 5 V (communication wire 4.85 - 5.10 V) pin (with ignition switched on) and a 12 V (power source wire 11.5 - 14.5 V) pin. 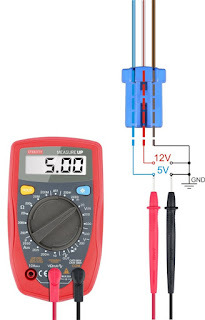 In case you're not getting 12V voltage on power wire, you should check for blown fuse (Under hood fuse/relay box, nr.43, 7.5A, ceiling light/cargo area light/DLC connector/Power antenna). 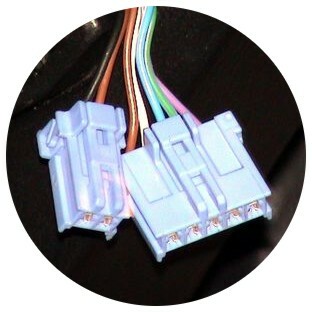 Some OBD1 cars ('92-'95) don't have the power wire in the DLC connector. 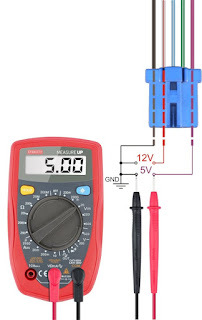 Guide on how to wire custom power source can be found here. If you're using an aftermarket or a chipped ECU, please read this post about Aftermarket / chipped ECU to determine the compatibility by yourself. If your ECU was modified with a procedure to disable the immobilizer on hardware level (installed IMMO OFF board, immobilizer physically removed, etc.) the ECU will very likely not work with Hondash as we've already seen in a few instances involving such mods. It seems as though the immobilizer circuit plays a crucial part in communication with ECU via diagnostics port. make sure the donor car was using either the 3 pin or the 5 pin diagnostic connector if the donor car's ECU is used instead, and check that it complies with the 4. step, otherwise use a compatible ECU that does not have an immobilizer from factory, or use an aftermarket or chipped ECU as described in 3. step. 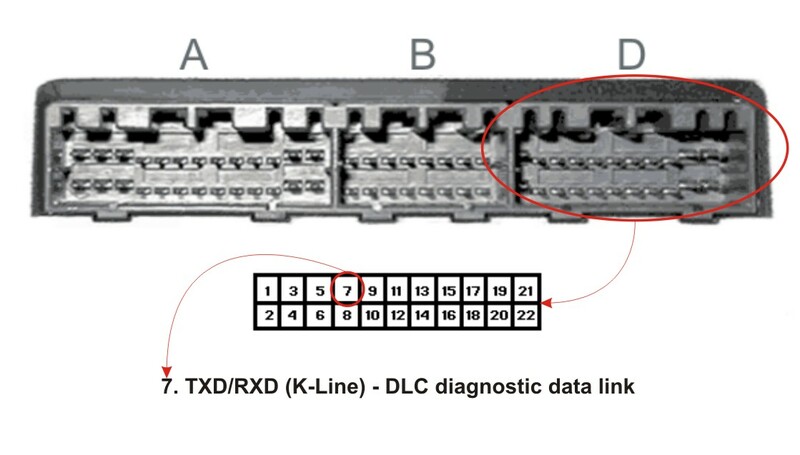 if the swap also includes conversion harnesses (OBD2A to OBD1 or vice versa), make sure that the communication 5V wire in the DLC diagnostic connector is correctly connected to a ECU pin (described as "K-line" or "TXD+RXD") by tracing it (using multimeter's continuity test) all the way to the ECU connector pins, using a pin-out diagram for the ECU as your reference. 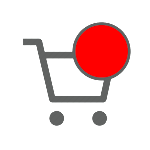 This check is optional, only the first 5 steps are important and required to determine the compatibility with Hondash. However you may check the table to see what ECU versions have already been tested by us. You may find your ECU listed here, if not, just make sure your ECU meets the criteria described in the above-mentioned 5 steps.